View Your Customer's Current Store Credit – How can we help? 1. Navigate to the Sell Screen and type the customer's name in the add a customer box on the right-hand side of the screen. 2 Hit enter or click on the customer's name to add it to the Sell Screen. Click on the customer name to bring up their customer info. 3. Click on the Store credit tab which will show your customer's including their current store credit balance and five most recent store credit transactions. 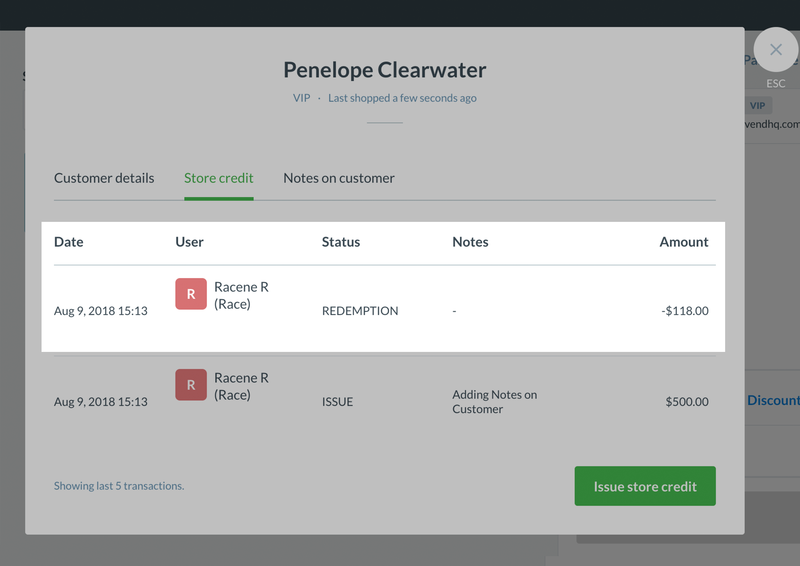 You will also be able to see the User who issued store credit to the customer at your store and any associated Notes attached when issuing the store credit. 4. Once you are done reviewing you customer's info, click the trashcan icon next to their name to clear it from the sell screen.